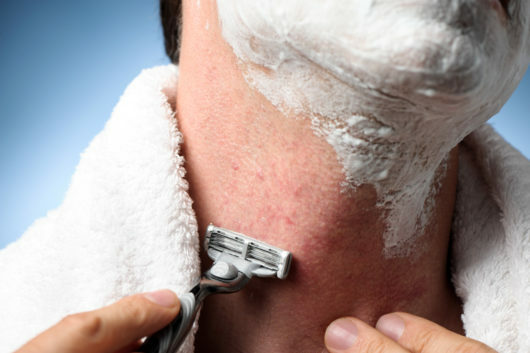 The Burning Question: What Causes A Painful Shave? It never fails — when you want to wear a flirty, sleeveless dress to a party or a cute swimsuit to the beach, that’s when the dreaded, red bumps appear. You’ve felt frustrated in the moment, but have you ever tried to understand why razor burn happens? Or, more importantly, what you can do to prevent it? We’re sure you have, and we certainly have too! So we’re here to teach you about the science behind razor burn — without anyone having to experiment on their skin! To put it simply, shaving is an extreme form of exfoliation that can damage the skin’s lipid barrier. This layer of lipids is what keeps moisture in and chemicals out. If it’s damaged, our skin can become dehydrated and vulnerable to irritating chemicals. Razor burn, along with razor bumps, folliculitis, ingrown hairs, and inflammation, are all signs of skin trauma that’s caused by shaving. Specifically, razor burn occurs when the hair follicle is twisted and pulled by the scraping action of our razor blade. Some people use the terms “razor burn” and “razor bumps” interchangeably, but this actually isn’t accurate. Razor bumps are small abscesses that develop when hair grows back but is stuck under the skin. People with curly hair are more likely to get razor bumps and these stubborn ingrown hairs. 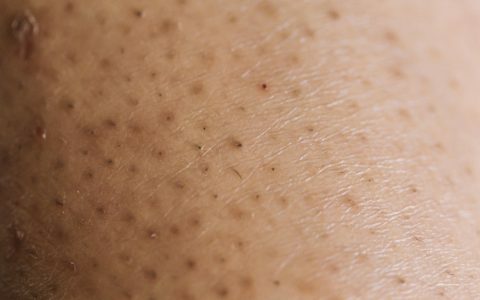 The other common side effect of shaving is folliculitis, which looks almost identical to pimples. It tends to crop up in the areas you shaved, and is simply the inflammation of a hair follicle. Many shaving fouls can cause razor burn: shaving too closely to the skin, dry shaving (aka forgetting shaving cream! ), shaving against the grain of the hair, or shaving too hard with a blunt blade (dermatologists recommend replacing your razor after five to seven uses!). While we hate to call you out, you probably need to admit that you don’t change your blade often enough, nor do you always thoroughly clean your razor to remove hair and shaving cream. Both of these mistakes prevent a good, smooth shave the next time you pick up your razor. What are the signs I gave myself razor burn? Common symptoms of razor burn are redness, burning, itching, stinging, and bumps, but nicks and scratches count too! Any or all of these symptoms can last a few hours or a few days. People with sensitive skin are generally more susceptible to getting razor burn, especially if they use multiple-blade razors. These new-age blades do allow for a closer shave, but they also tend to create razor burn more often than single-blade razors. What’s the best way to treat razor burn? + Try using a new or sharp razor blade. If you’ve been using the same razor and blade for six months, not only are you going to get a lame shave, you’re also more likely to cause irritation — especially if any rust or mold has grown on your razor while it sits in your moist shower or tub. + Make sure you’re wetting your skin before you shave and applying a shaving aid. If you aren’t a fan of shaving in the shower (or just need to quick shave your pits or legs before a night out!) make sure you wet the area first and then apply a shaving aid. Yes, using a shaving cream may make you think of your grandpa (or bring back memories of those silly scented formulas you used in middle school) BUT there are thousands of moisturizing, hydrating, fabulous shaving creams on the market you should use to make sure you aren’t hurting your skin. That said, we’ve got a little hack for you: We actually love using whatever conditioner we’ve already got in the shower! It makes for a super easy shave and your legs always feel extra smooth afterwards! + Try using your razor in the same direction that your hair grows. It seems counterintuitive, and it is technically a closer shave if you shave against the grain of your hair, but you’re much more prone to razor burn this way. By shaving in the same direction as your hair growth, you don’t pull the hair backwards, which is what causes irritation. Not sure which direction your hair grows? This handy graphic may help! + Post-shave care is equally important. Make sure you’re applying a moisturizer that contains emollients or glycerin afterwards. We love body oils too — they’re extra hydrating, and add a gorgeous sheen to your skin. Unless, that is, you’re shaving below the belt. In that case, make sure whatever moisturizer you apply is super gentle and fragrance free, to avoid irritation. Okay, those tips are great, but what if I already gave myself razor burn? The best way to treat already roughed up skin is by applying a post-shave lotion, which will reduce moisture loss and redness. 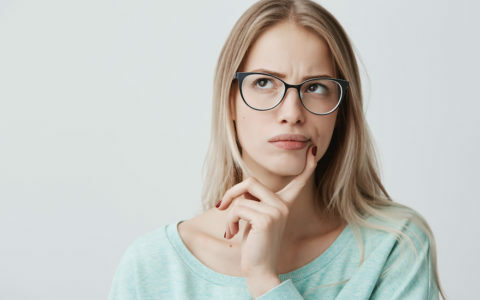 Look for products that contain niacinamide, wheat germ, yeast extract, tocopherol, soybean oil, shea butter, jojoba oil, evening primrose oil, or silicones — all of which combat irritation and peeling. If you’re the natural solution type, you can try home remedies to ease your razor burn. Our favorites: placing a cold compress or some pure aloe vera gel on the affected area to soothe burning; black tea, apple cider vinegar, honey, cucumber, oatmeal, or a paste made of aspirin and warm water can all relieve inflammation. The real heavy hitters are baking soda and tea tree oil, which each produce a trifecta of relief. Baking soda relieves itching, reduces redness, and tames inflammation, while tea tree oil is rich in antibacterial, antiseptic, and anti-inflammatory properties. If you’re like us, you likely get lazy about shaving or switching out your razor blade, and then whatever area you’ve sloppily shaved has to pay the price. The easiest way to avoid this scenario? Switch your blades often, rinse them well, and spend an extra 5 minutes finding out the direction your hair grows. Then give yourself a few more getting ready minutes so you can shave carefully and stress-free! I have had EXCELLENT success using a salt scrub with a natural oil base (olive oil, grape oil, hemp oil) and exfoliating the area before shaving. After shaving I like aloe gel. Then I make sure I continue to gently exfoliate with the scrub each day when I shower. If I am consistent.. NO BUMPS! If I am not consistent, bumps. So those are my tricks! What Are These Rough, Bumpy Patches on My Skin? Get The Pretty Pimple In Your Inbox!